Uluru the iconic monolith, also known as Ayers Rock, is the emblem of Australia. The large sandstone rock is located in Uluru-Kata Tjuta National Park, a World Heritage Site. Destination Australia, the "unknown southern land". Some say, with Australia you get it all: the only continent that lies entirely in the southern hemisphere, a country with a population density others can only dream of, and a very big island with a 30,270 km long beach. Australia is situated between the Indian and the Pacific ocean, south of Asia and north of the Antarctic. With an area of 7,617,930 km² the country is almost (95%) the size of continental USA (without Alaska), it is the sixth largest country in the world, with just 24.1 million inhabitants (in 2016). Australia shares maritime borders with: East Timor, Indonesia, New Zealand, Papua New Guinea, Solomon Islands, and the islands of New Caledonia (a special collectivity of France). Capital city is Canberra, other major cities are: Adelaide, Alice Springs, Brisbane (1.6 million) Darwin, Hobart, Melbourne (3.5 million), and Perth, largest city is Sydney (4.2 million). Official language is English. Democratic, federal-state system recognizing British monarch as sovereign. Independence (federation): 1 January 1901. Location: Oceania, continent between the Indian Ocean and the South Pacific Ocean. Area: 7.7 million km² (3 million sq. mi. ); about the size of the 48 contiguous United States. Terrain: Varied, but generally low-lying. Relatively dry, ranging from temperate in the south to tropical in the north. Ethnic groups: European 92%, Asian 6%, Aboriginal 2%. Religions: Anglican 20%, Roman Catholic 26%, other Christian 21%, other non-Christian 5%, no religion 15%. Languages: English (official), Italian 12,4%, Greek 9.2 %, Cantonese 7.9 %, only 51 000 people speaking an Australian Indigenous Language at home. Bauxite, coal, iron ore, copper, tin, gold, silver, uranium, nickel, tungsten, mineral sands, lead, zinc, diamonds, natural gas, petroleum. Wheat, barley, sugarcane, fruits; cattle, sheep, poultry. Mining, industrial and transportation equipment, food processing, chemicals, steel. I understood why Aboriginals choose to paint their land in 'pointillist' dots. The land was dotted. The white dots were spinifex; the blueish dots were eucalyptus, and the lemon-green dots were some other kind of tufty grass. Australia became a commonwealth of the British Empire in 1901. It was able to take advantage of its natural resources to rapidly develop its agricultural and manufacturing industries and to make a major contribution to the British effort in World Wars I and II. Long-term concerns include pollution, particularly depletion of the ozone layer, and management and conservation of coastal areas, especially the Great Barrier Reef. A referendum to change Australia's status, from a commonwealth headed by the British monarch to an independent republic, was defeated in 1999. Australia's political system is both a representative democracy and a constitutional monarchy. Head of state is Queen Elizabeth II, formally represented by a Governor General. The legislative branch of the government of Australia is the bicameral parliament, with a Senate, and a House of Representatives. Head of government and leader of the Cabinet is the Prime Minister. Official website of Australia's Government. Government Online Directory - Structure, organizations and key people. Trade performance and global cooperation. Australia's representation to the UN. List of Australia's Diplomatic Missions Abroad. List of Foreign Diplomatic Missions in Australia. Visas for visitors to Australia. The Canberra Region on the web. The Northern Territory Government online - Northern Territory information. The NSW Government Home Page with comprehensive information on NSW. Internet resources provided by the Queensland Government. Victoria's Government Information on Victoria. South Australia Central - Meet South Australia On Line! The Government of Western Australia. A comprehensive index to Tasmania and the official entry point for the State Government of Tasmania. Map showing continental Australia with state borders and capital cities. Map showing mainland Australia with international borders, state boundaries, the national capital Canberra, state capitals, major cities and towns, main roads, railroads and international airports. Topographic map of continental Australia showing the general topographic regions. Searchable satellite/map view of Australia. Searchable map and satellite view of Australia's capital city. Annotated map/satellite view of Sydney's world famous Opera House. Annotated satellite view of Ayers Rock. 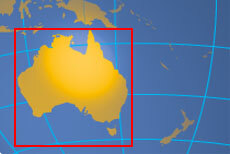 Australia's National Mapping Agency, an online resource for Australia related facts and maps. Australian and international news contributed by several Australian newspapers. Latest Brisbane and Queensland news. Wollongong based newspaper with national and international news. A daily based in Perth. Information and shop site for contemporary Aboriginal art. Site of the Art Gallery of New South Wales. Association of Central Australian Aboriginal Art and Craft Centres. Aims to increase public awareness of the rich cultural traditions and significant heritage values of the didgeridoo. Tasmanian Author of "Death of a River Guide" and "Gould's Book of Fish". Website of the oldest professional theatre company in Australia. The art of indigenous Australia as well as Australian and international art. One of Australia's biggest and brightest annual cultural event. The Sydney Opera House online. The official online home of the Bee Gees. Listen to Bee Gees - Stayin' Alive. Australia's oldest museum, a museum of natural history and anthropology. Telling the stories of our land, our people and our nation, Canberra. Cultures, histories, nature, science, technology and medicine. Australia’s very first, and largest, art gallery in Melbourne, founded in 1861. Largest museum in Australia - science, technology, decorative arts, design and Australian social history. A guide to Australia's Museums and galleries. News, fixtures results and articles. 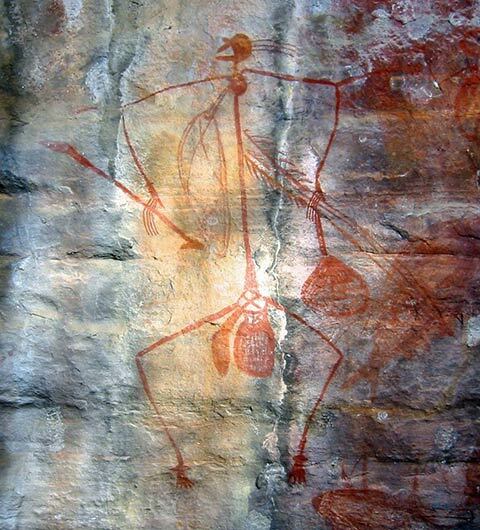 Aboriginal Rock Art, Ubirr, Kakadu National Park in the Northern Territory. The Australian economy has experienced continuous growth and features low unemployment, contained inflation, very low public debt, and a strong and stable financial system. The services sector is the largest part of the Australian economy, accounting for about 70% of GDP and 75% of jobs. In 2016 Australia was facing a range of growth constraints, principally driven by a sharp fall in global prices of key export commodities. The demand for resources and energy from Asia and especially China has declined. Australian Securities Exchange (ASX) was created by the merger of the Australian Stock Exchange and the Sydney Futures Exchange in July 2006. It is the primary stock exchange group in Australia. National Australia Bank (NAB) is one of the four largest financial institutions in Australia. Australia's Central Bank and banknote issuing authority. ACCI the largest and most representative business organization in Australia. The federal government's export and investment facilitation agency. Information on Australian industry policies and programs, science and innovation, and resources. Invest Australia a National Investment Response Center to help you find out more about Australia. Yellow Pages Australia, Australian Business Directory. Authorizes companies to use the green and gold kangaroo logo - Australia's best known symbol for what's Australian made. Major regional operator in Northern Australia. Ferry service between Devonport and Melbourne. ARTC is an Australian government owned corporation which owns, leases, maintains and controls the majority of main railway lines on Australia's mainland. Melbourne-Geelong-Warrnambool Rail Passenger Service; defunct in 2004. 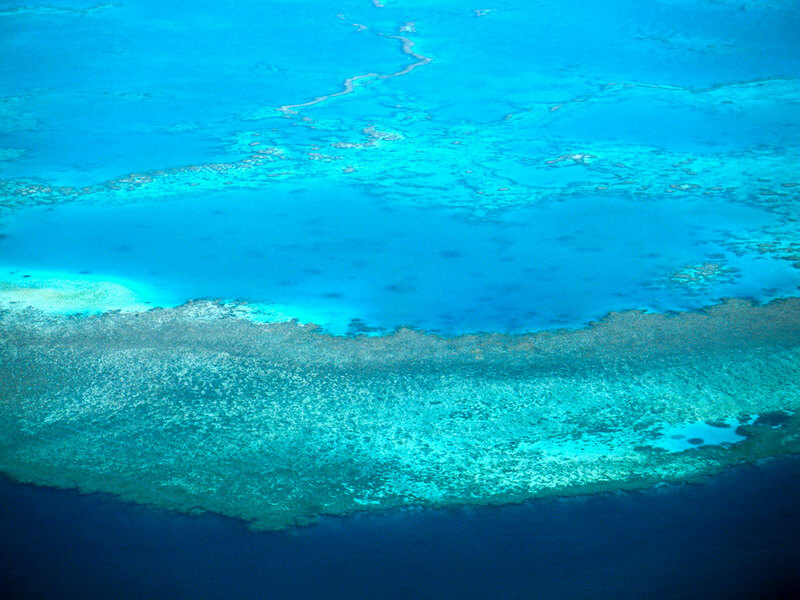 Helicopter view of the Great Barrier Reef, one of Australia's natural wonders and a World Heritage Site. Discover Down Under: New South Wales, Northern Territory, Queensland, South Australia, Tasmania, Victoria, Western Australia, Broome, The Kimberley. Country, travel and tourism information on Australia by the Australian Tourist Commission. The official New South Wales website covers Sydney accommodation, regional accommodation, things to see and do and places to go. Travel and tourism guide to Alice Springs, Uluru, Macdonnells Ranges. Travel guide to Aboriginal culture and nature in Australia's Outback. Official Northern Territory Tourist Commission site. Official website of Queensland Tourism & Travel. The official Tourism Queensland Corporate Information. South Australian holidays, travel and tourism. Cave diving, shark diving, shipwrecks. Holidays and vacation in Murraylands. Discover Tasmania and Hobart Australia Official Travel Guide. The official travel and accommodation site for Melbourne Victoria Australia. A gateway to WA's Information & Services. Travel and tourism information on Broome one of the last great-unexplored wilderness areas Australia's. Wine grapes in Barossa Valley, South Australia. 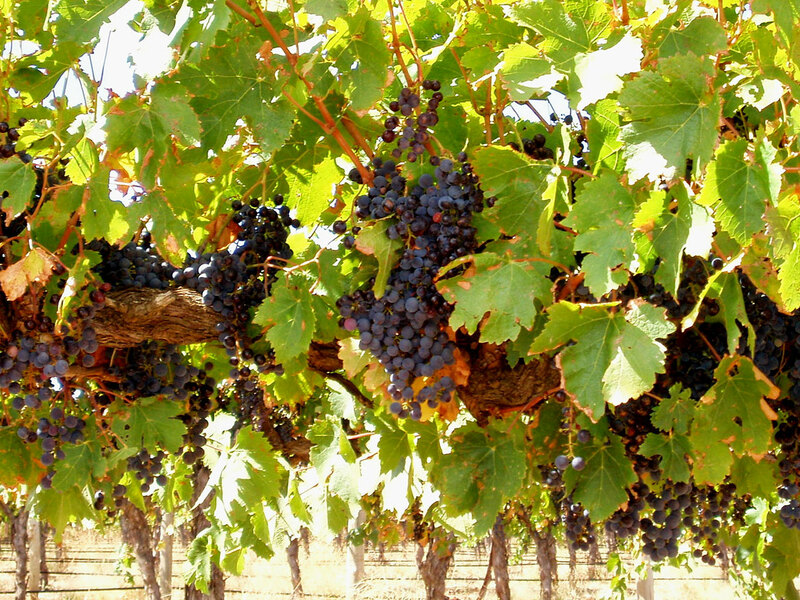 Barossa Valley is formed by the North Para River, it is a major wine-producing region and a tourist destination. 100 kilometres (62 mi) north of the Adelaide is one of Australia's oldest wine regions, Clare Valley wine region, best known for its Riesling wines. Darwin City, capital of Northern Territory. Hobart City, Capital of Tasmania. The City of Melbourne, Capital of Victoria. The City of Sydney and the greater Sydney area. 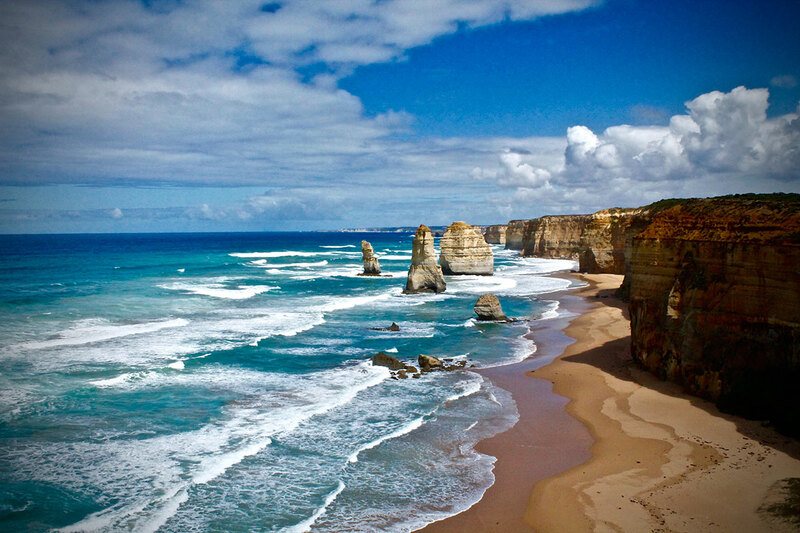 The Twelve Apostles, the collection of limestone stacks off the shore of the Port Campbell National Park in Victoria. Promotes the benefits of learning, education and training in Australia. One of Australia's leading universities. Sippy Downs near Brisbane, Queensland. Information about more than 5,400 Australian libraries. Atomic, molecular, cellular and macromolecular scales. South Australia's environmental assets and issues. With a guide to Western Australia's Gardens and Parks. The voice for South Australia's environment. Resources and tools on ecology, environment and sustainability. Facilitating cooperation, networking and ethical developments. 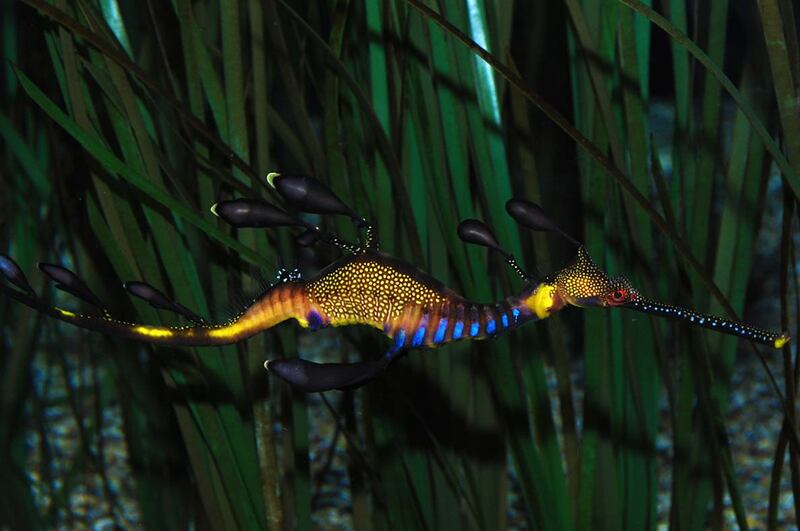 One of the wonders of the natural world. Protect the health of the Murray-Darling Basin. A guide to Australian World Heritage Areas, National Parks and Reserves. The Pacific region's major intergovernmental organisation charged with protecting and managing the environment and natural resources. Outline of the History of Australia including further history links. Site by the Southern Arrernte Aboriginal tribal group. History, culture and spirituality of Aboriginal people throughout Australia. Australian Institute of Aboriginal and Torres Strait Islander Studies. Some of the plants used for bush tucker and for bush medicine. Geodesic domes for the Corringie Community. Get in contact with the Aboriginals world view. Indigenous Australia written by Aboriginal People. An introduction to Aboriginal culture and society. About Aboriginal and Torres Strait Islander cultures. Collected stories from the cultures of Indigenous Australians. Australia's national Aboriginal and Torres Strait Islander newspaper (for subscribers only). Australian Broadcasting Corporation gateway to Indigenous content that the ABC has to offer in Television, Radio and online.